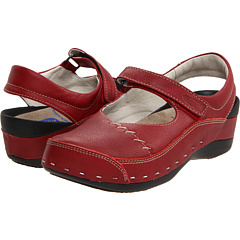 The Wolky Cloggy is an excellent shoe and I highly recommend it! 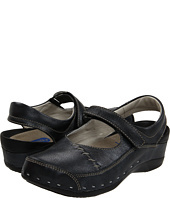 It has a thick and protective sole with good arch support and “memory foam” that molds to your foot for extra comfort. The wide toebox, midfoot and rearfoot strap biomechanically control the foot, which allows for more comfort and less chance of injury.